"Pet shops" use the natural appeal of puppies, kittens and other animals to sell them at an inflated price, often several hundred dollars for "purebred" animals. The vast majority of dogs sold in pet shops, between 350,000 and 500,000 a year, are raised in "puppy mills," breeding kennels located mostly in the Midwest that are notorious for their cramped, crude and filthy conditions and their continuous breeding of unhealthy and hard-to-socialize animals. Other common problems in the pet shop industry include selling sick and injured animals to the public, failing to provide proper veterinary care, unsanitary conditions and inhumane methods of killing sick and unwanted animals. You can help bring about changes in local pet stores, if you know what conditions to look for and what steps to take. Healthy young animals are usually energetic and shiny-coated. Look for signs of ill health, such as listlessness, diarrhea, emaciation, dull coats, runny eyes and dry noses. Sick animals should never be housed with healthy ones. Check the general sanitation conditions; notice signs of cockroach infestation, rodent droppings on the floor and rusty or dirty cages. Also look for algae or scum in water bottles, empty water containers, or animals having difficulty drinking from them. Dogs and cats must have water (it can be in a bottle), and there must be some sort of solid flooring (if a tray is used, it must be flat on the floor). There should be no more than one large dog in a single cage. Look for signs of distemper and parvovirus: runny stool and clogged, dry noses. Cats should have an elevated surface (above the litter area) to rest upon. Water must be in a clean water dish rather than in a bottle. Also, watch for signs of upper respiratory disease (eyes covered with inner membrane, runny eyes and nose and sneezing). Rabbits should have a water bottle, not a dish. They should not be listless. If an animal is sick, you may notice other animals in the cage walking over him/her. Watch for runny noses and excessive sneezing. Birds must have a properly sized perch (birds' feet should go three quarters of the way around the perch). Check for others beating up on one - especially common in zebra finches (you may see feathers missing from head, back, etc.). A bird should not be resting on the bottom of the cage (a sign of illness or of having been thrown off the perch by others). Cages should not be overcrowded. Check fish tanks for overcrowding. Generally, an inch-long tropical fish requires a minimum of 12 square inches of water surface to breathe comfortably; a two-inch fish needs at least 24 square inches of surface area, and so on. Look for dead fishes in aquariums. 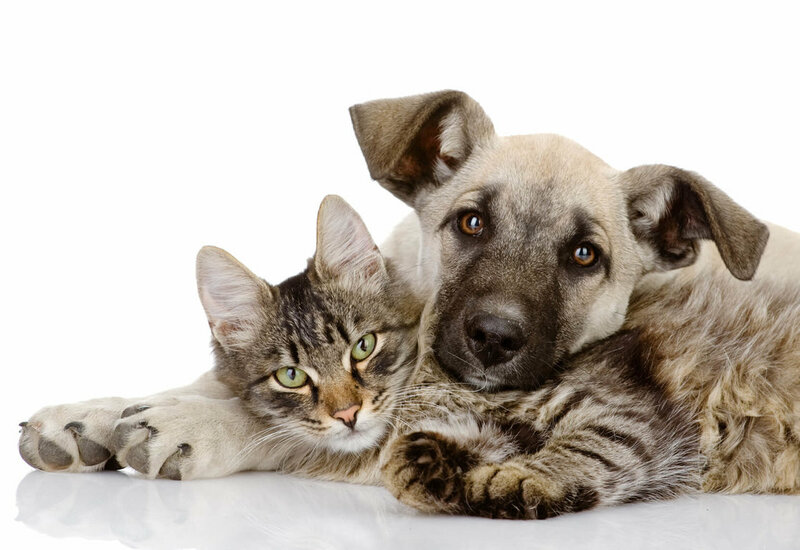 Find out who in your town, county or state enforces the anti-cruelty codes. Report abuses to them. Often, these people work for local humane societies or animal shelters. Once you have located the proper law enforcement officials, provide them with a concise, factual, written statement of what you have observed, giving dates and approximate times. Try to get short, written statements from witnesses. Statements should be notarized. Ask sympathetic veterinarians to visit the pet store and write an "expert statement" as to the conditions and health of the animals. If you have been sold a sick or injured animal, go to your local courthouse and fill out a small claims form (no attorney needed). When you file the form, you will be given a court date. At the hearing, present all your veterinary and related bills. (Be sure to get a statement from your vet.) Though it's difficult to put a monetary value on your animal's health or life, this simple action can bother a pet store owner enough to prevent him or her from being irresponsible and inhumane in the future. Also, file a complaint with the Better Business Bureau. If the store is in a shopping mall, complain to the mall manager (and ask all of your friends and neighbors to do the same). Ask the mall management not to renew the store's lease. Find out if a division of your county or state health department licenses pet shops and, if so, request that they conduct an inspection. Even if the health department does not specifically license pet shops, it should still inspect for dirty conditions that may pose a health risk to the public. If the pet store sells wild or exotic animals, it is required to be registered with the U.S. Department of Agriculture (USDA), and violations should be reported to the USDA Animal and Plant Health Inspection Service (APHIS) office in your state (usually in your state capital). To locate your state office, look in the federal government section of the phone book under U.S. Department of Agriculture. Educate the public: Write letters to the editor, distribute leaflets outside the store, organize a demonstration, etc. Department stores that have a pet department may be especially susceptible to a boycott, since the revenue from the pet department may not constitute a large portion of overall profit. If all else fails, contact local television and radio stations and newspapers and try to interest reporters in the story. A news story may force officials to act or scare the person causing the abuse into stopping. Above all, don't patronize pet stores. You can purchase supplies for companion animals from "pet" supply stores or catalogs which carry full product lines but don't treat living beings as merchandise.